Photographed December 2, 2016 at St. Aidans United Church. 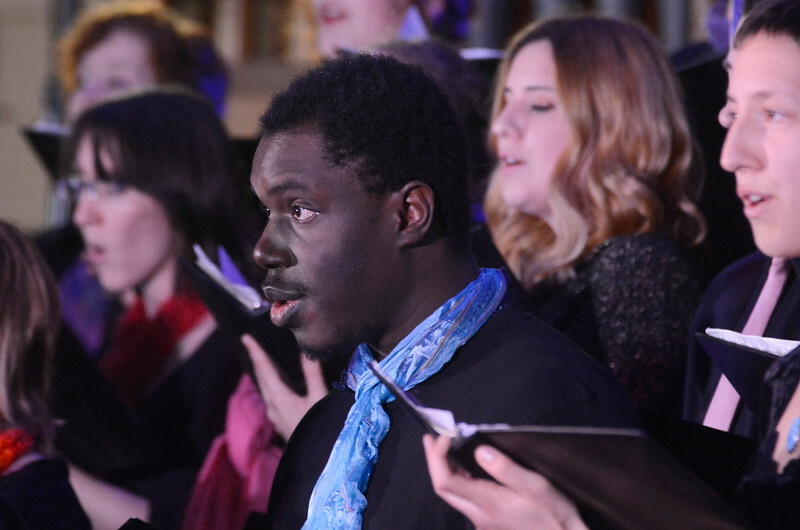 Mission: SingYourJoy: a non-auditioned chorus for young adults from all walks of life, joining their voices together in an exuberant expression of joy, building friendships and growing community. We are: A non-auditioned mixed-voice community chorus, open to all people ages 16-29. The Chorus runs two ‘seasons’ – September to December, and January to April. We rehearse Monday evenings (7-9pm) at the fabulous acoustic space of Oak Bay United Church (1355 Mitchell Street, Victoria BC). At the end of each season we present a concert in a Victoria location. While we enjoy performing for our enthusiastic audiences, the chorus believes deeply in creating community, and working together to not only sing well, but to give back to the greater community at large. There are no fees for singers to participate (unlike most community choruses). The chorus was co-founded and is currently co-directed by Christine Chepyha and Gordon Miller.